The name might say Big Guy, but truly: This is a short board for any rider who wants a board with more volume while still retaining high-performance. 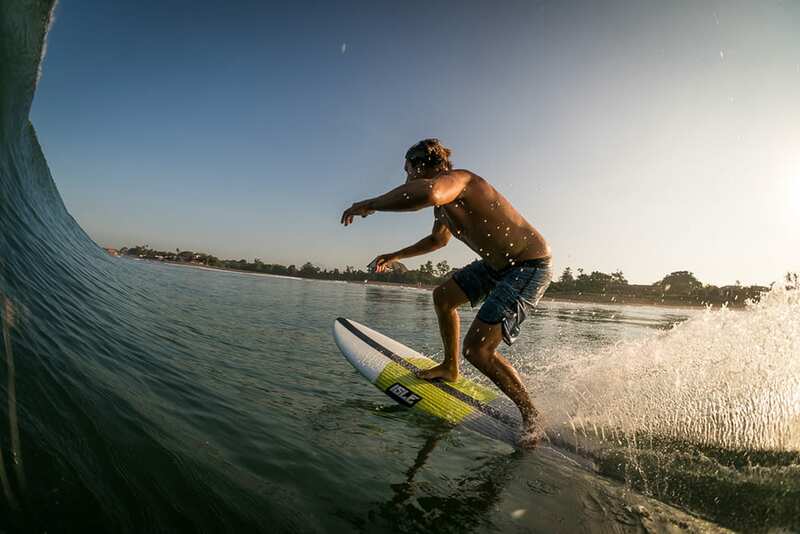 This is your 1-board quiver that is specially designed to adapt to a variety of conditions. The ISLE Big Guy Fish is one model that has all the features and speed of a smaller board, but with more volume and size – making it perfect for the heavier waterman. 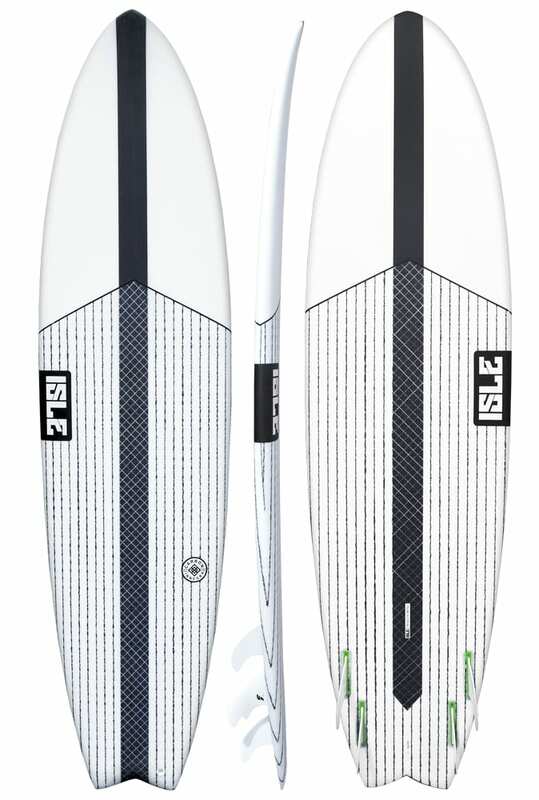 This model represents everything you love about short boards while still offering the versatile performance you’d expect from a fish. 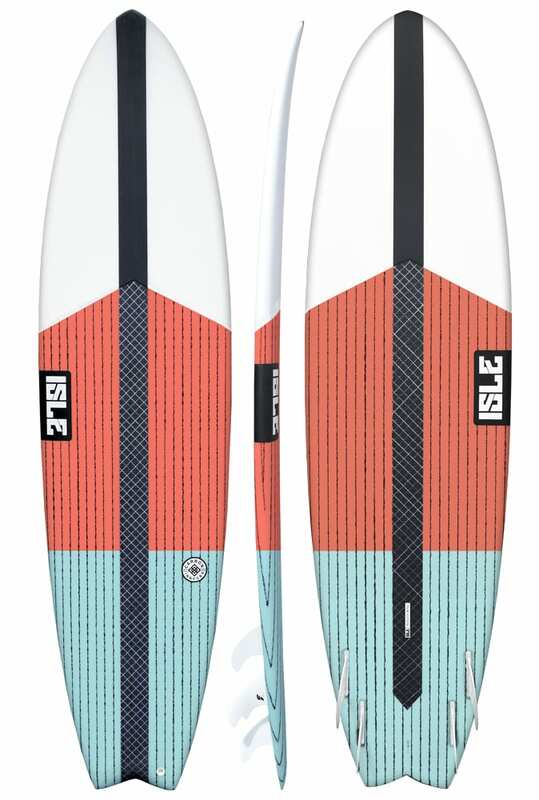 The design combines surface area, rocker and performance rails to forge a super-fast, all around board. The classic modern fish design, swallow tail, and quad fin is ideal for generating speed and acceleration. A relaxed rocker and more foam under the chest creates lift in the nose, so you can boost your wave count. A subtle single-to-double concave on the bottom creates speed and flow on mushy-to-steep waves. The pulled-in tail decreases volume in the back while the swallow tail provides more bite during critical turns. 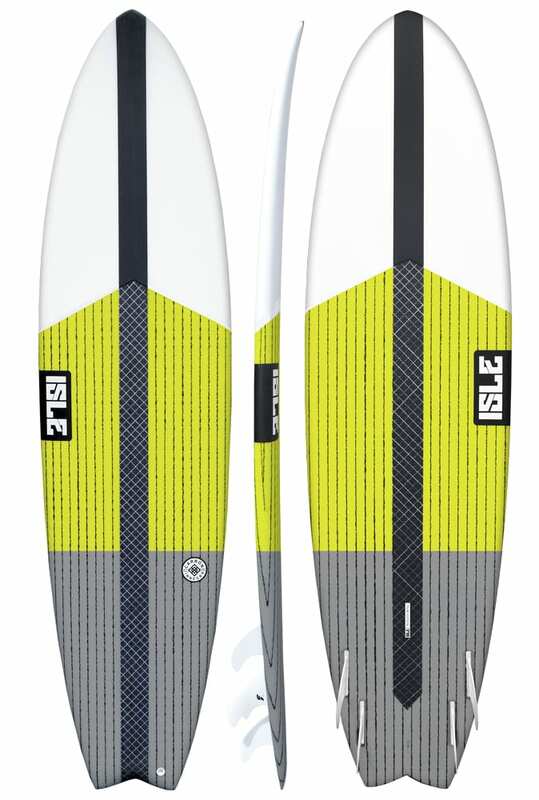 The ISLE Big Guy Fish comes standard with a 4-fin setup, great for generating speed and drive on less-than-punchy days. This board is a true hybrid. Ride it on smaller days without switching over to a longboard, and surf it on larger waves for great hold, drive and flow. Unbeatable versatility makes this is an ideal travel board.